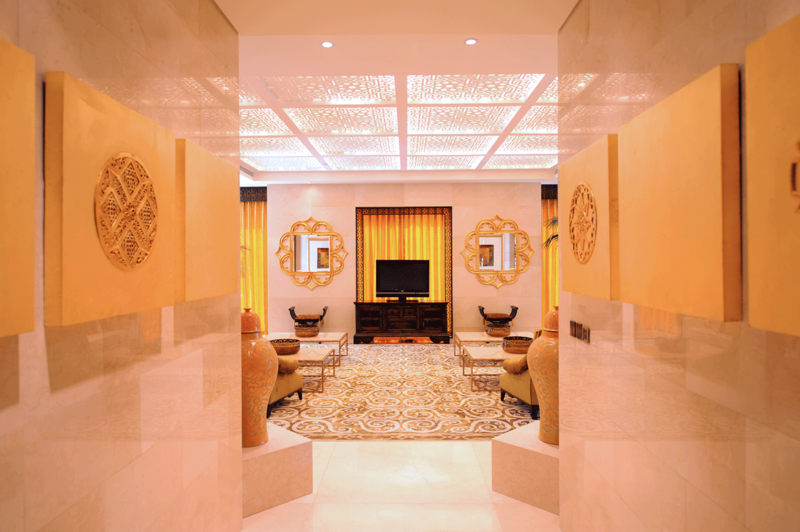 Raffles Dubai, owned by MKM Commercial Holdings LLC, opened its doors in November 2007. Ayman Gharib, General Manager, brings a unique insider’s knowledge of Dubai to Raffles. Raffles Hotels & Resorts is an award-winning, luxury international hotel company with a history dating back to 1887 with the opening of Raffles Hotel, Singapore. The portfolio currently comprises nine luxurious properties, from secluded resorts to city hotels in key locations around the world. With a compelling mix of cultures and styles, every hotel in the Raffles family has its own individual personality, with its own story to tell and its own sense of place. However, each one is proud to draw on the timeless essence of Raffles — to deliver thoughtful, personal and discreet service to well-travelled guests. 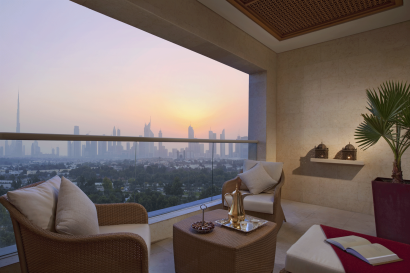 Not only close to Dubai’s best-loved landmarks, Raffles Dubai is one of them! This stunning landmark hotel in a distinctive pyramid shape, merges Asian style with an Egyptian aesthetic and delivers the unexpected luxury of space, impeccable service and sophisticated style. Located in Wafi, the heart of the city, only 3km from Dubai International Airport and a 10 minute drive to Dubai’s business districts and all major shopping, cultural and tourist attractions with easy access to the Dubai metro. 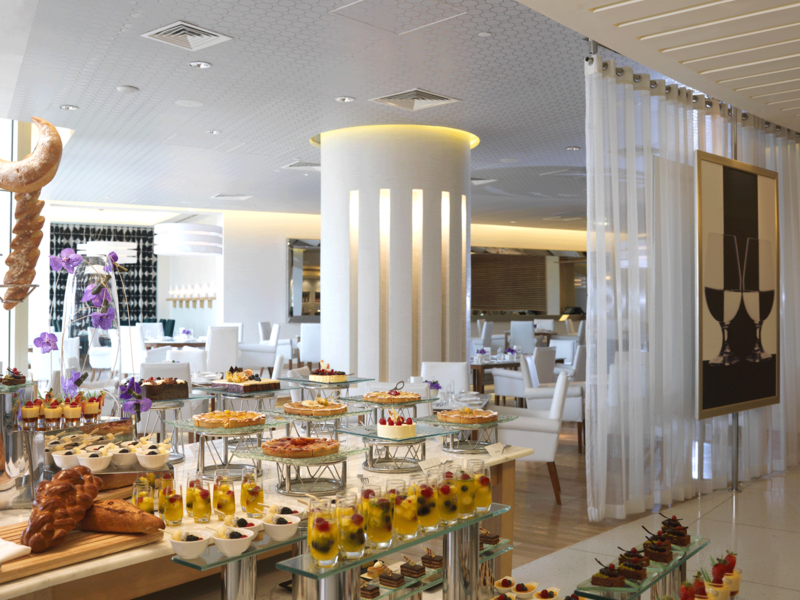 • Azur – Overlooking the splendour of the Raffles Botanical Garden, “Azur” features an international buffet with an abundant choice of Pan-Arabic and Asian Dishes. • Crossroads Cocktail Bar & Terrace – An Asian inspired bar, serving a variety of cocktails and Shisha – not to miss out is the Singapore Sling and Dubai Sling. • Solo Bistronomia and Vino Bar – Launching a homegrown Italian restaurant, Solo, displaying a unique dining concept called ‘bistronomia’. A combination of bistro and gastronomy, The menu prides itself on sourcing local farm produce when the UAE harvesting season allows, whilst also importing seasonal ingredients from Italy. 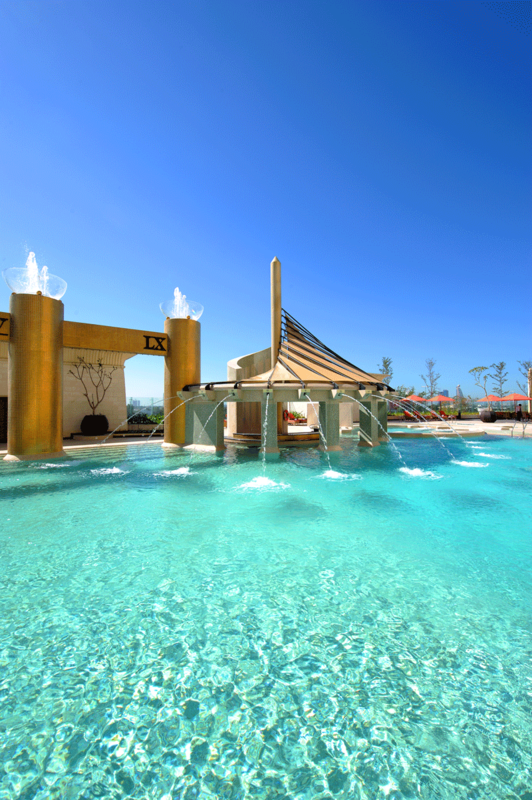 • Pool Bar – The ideal relaxation spot for residents. Enjoy fresh juices and light meals, the perfect complement to a day by the pool. • Raffles Salon – Indulge in The Collection “Afternoon Tea by Raffles”, the perfect retreat to meet with friends post shopping or entertain a client. • TOMO – Award-winning Authentic Japanese Restaurant. Located at the peak of the pyramid, it offers great city views. • People by Crystal – Award-wining night club at the peak of the pyramid. Since its opening in 2010, People by Crystal has risen to the pinnacle of the Dubai social scene and was voted ‘Best Club in Dubai’ by Time Out Dubai for the second year in a row. Embracing the philosophy of living well, Raffles Spa opens the door to enchanting discoveries and offers a haven for relaxation. 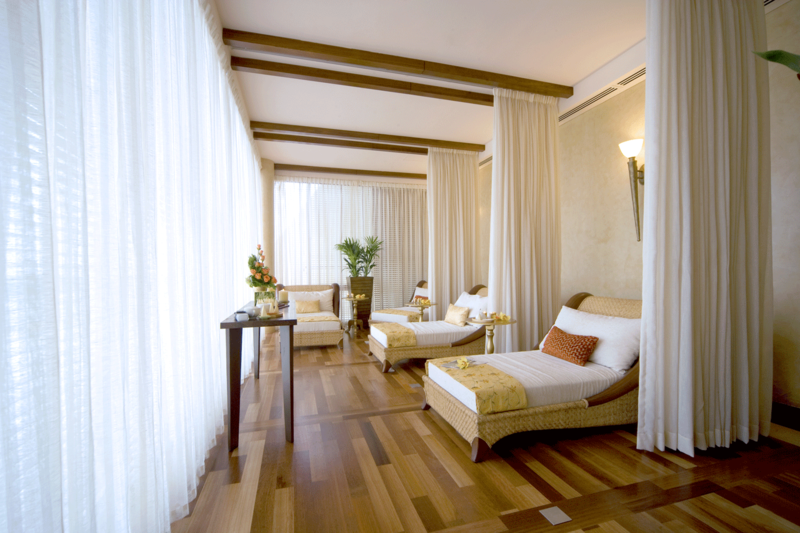 It consists of 5 private Spa Suites, a Couples’ Spa Suite and a private Garden Retreat for two, located within the Raffles Botanical Garden. Ladies and Gents hair salons with experienced barber and stylists. A luxurious outdoor swimming pool and heated Jacuzzi. Separate Male and Female changing facilities inclusive of experience showers, steam room, sauna and indoor Jacuzzi. • 2014 – N° 2 in Conde Nast Reader’s Choice Award ‘Best Hotels in the Middle East and North Africa’ category. • 2014 – N° 58 ‘Top 100 Hotels and Resorts in the World’ list, taking a well-deserved place amongst the best of the best. 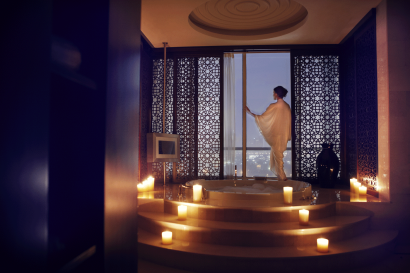 • 2013 – Top 25 luxury hotels in the Middle East by TripAdvisor® in its 2013 Travelers’ Choice® awards. 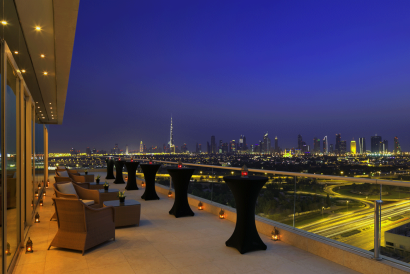 • 2013 – Highest Elite Customer Satisfaction Score in the Middle East for 2012’, from the Expedia Elite Plus Program. • 2013 – Fire & Ice received the Wine Spectator’s 2013 Best of Award of Excellence. • 2013 – TOMO was named 2013 Best Newcomer by Time Out Dubai. 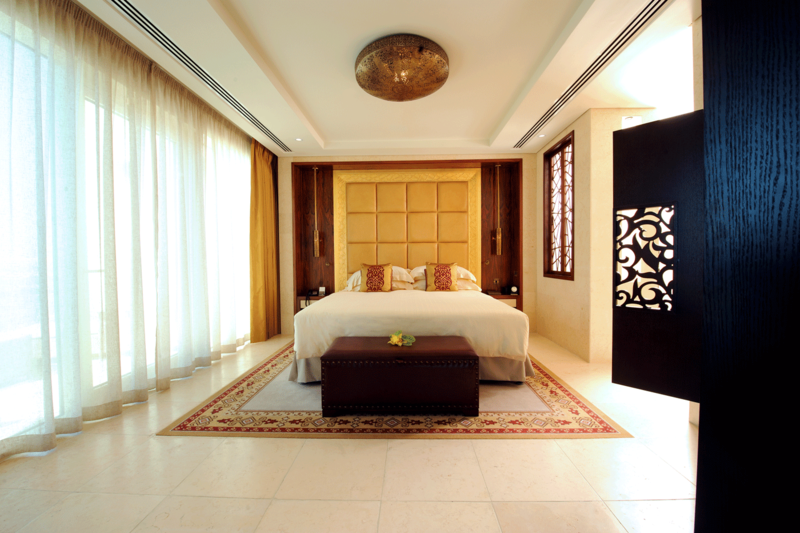 Raffles Dubai employs 428 persons.